This documentary is fascinating. More importantly, it's also entertaining. This film takes a look at the realities of the modern music business. 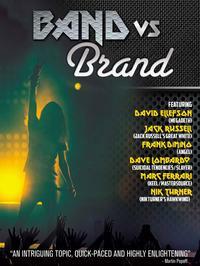 It's explores the way "brand" is often more important than "band" in the new reality. This is accomplished through interviews. The video includes all kinds of cool insights and interesting video clips. While the description might not be the most captivating thing you've ever heard, if you are into music, you'll find yourself caught up and watch this from start to finish. It really helps to shine a light on the inner workings of the modern music business, discussing things like multiple versions of the same band, licensing of merchandise, tribute bands and even hologram tours. This is one of the best general music documentaries I've seen in a while, and I see quite a few.